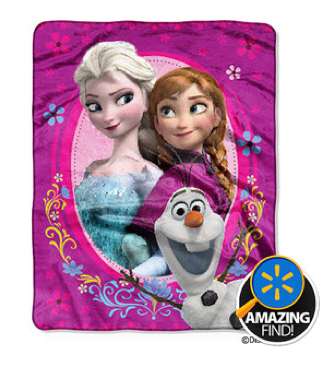 Disney Frozen Spring Zing 40" x 50" Silky Touch Throw Blanket Only $9.96 + FREE Store Pick Up! You are here: Home / Great Deals / Disney Frozen Spring Zing 40″ x 50″ Silky Touch Throw Blanket Only $9.96 + FREE Store Pick Up! Disney Frozen Spring Zing 40″ x 50″ Silky Touch Throw Blanket Only $9.96 + FREE Store Pick Up! Your little Frozen fan can stay nice and warm this Winter, wrapped up in this adorable Disney Frozen Spring Zing 40″ x 50″ Silky Touch Throw Blanket, which is only $9.96 + FREE Store Pick Up with Site-To-Store Shipping! They also have more designs to choose from here!